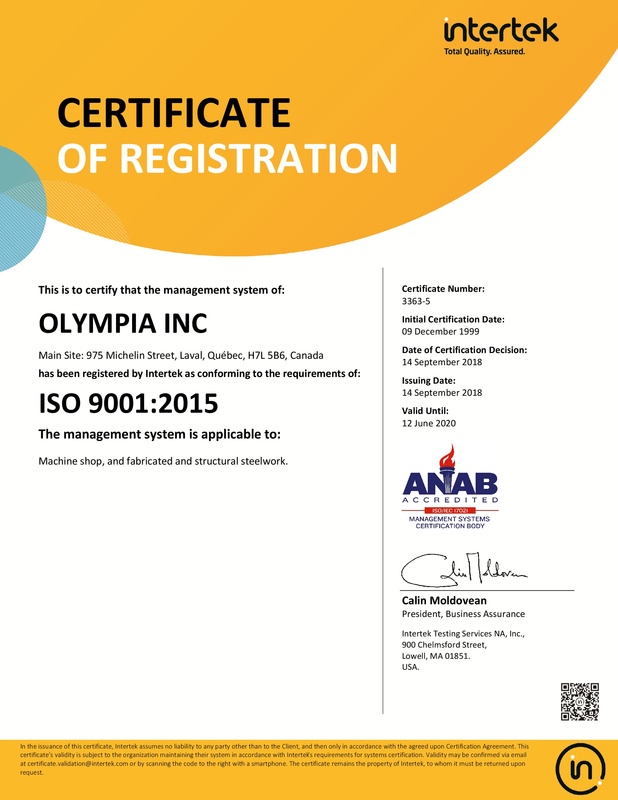 Olympia focuses on quality and conforms to specific client standard. 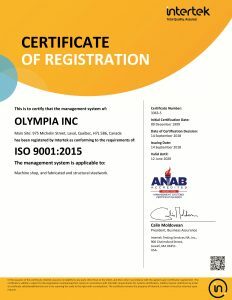 Moreover, we are frequently audited by our clients. 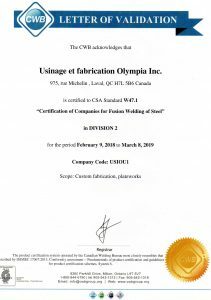 In order to fully satisfy them, Olympia agrees to comply with any standard of quality that a customer deems superior. 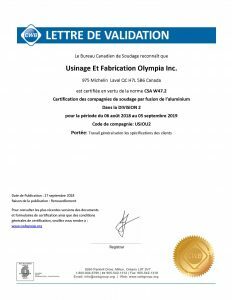 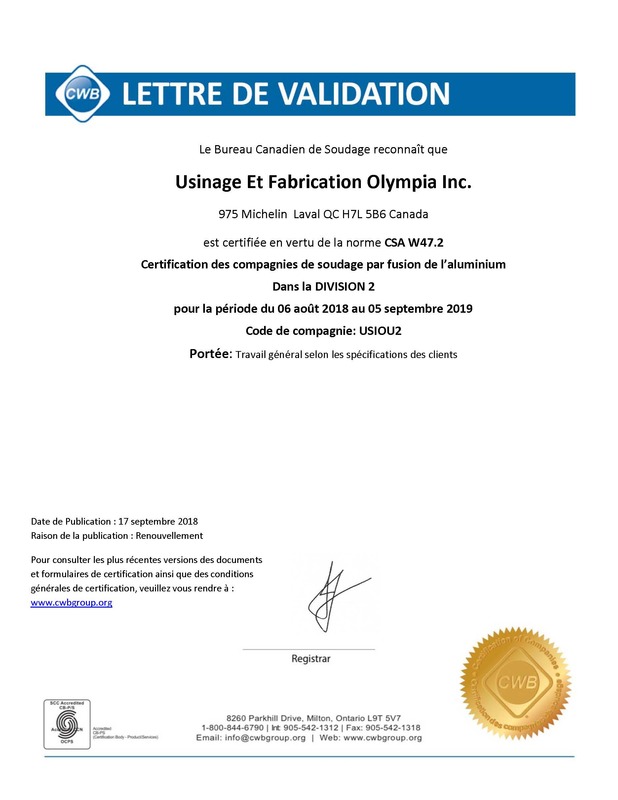 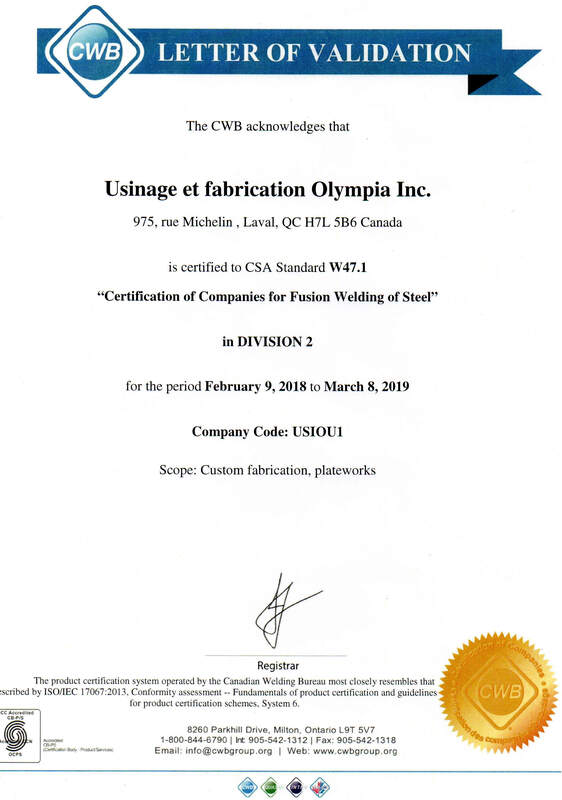 Olympia is certified by the Canadian Welding Bureau related to the welding of steel ( CWB 47.1) and aluminum (CWB 47.2).